This one is for all you traffic exchange surfers out there (you know who you are). Today I am teaming up with Shane Bost to help him celebrate the 1 year anniversary of his traffic exchange SiteXplosion. To help kick off the festivities Shane is giving away a free iPad 2 and a couple of Flip video cameras to a few lucky surfers. You simply need to login to SiteXplosion and surf 100 pages using today’s special promo code to be entered for a chance to win. Since today is my day I get to share my unique promo code with my readers. If you are not already a member of SiteXplosion I recommend checking it out. Shane is one of the better traffic exchange owners to come around in a long time and his exchange is quickly moving up the ranks to become one of the most effective traffic exchanges out there. Have fun and enjoy the prizes! I received a comment yesterday on one of my earlier posts about ClickTrackProfit asking if promoting CTP would conflict with their efforts to promote TEProfits. The same topic came up earlier last week in a TELive and I thought it was worth discussing here. Just so you know ClickTrackProfit and TEProfits are both essentially downline builders that target the traffic exchange industry. 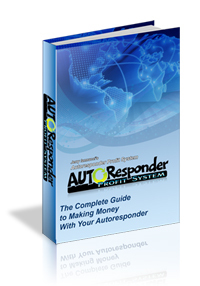 Both programs have excellent online training and both can be used to build your TrafficWave downlines. I think the biggest difference between the two programs is that TEProfits puts more emphasis on using TrafficWave to build your list than ClickTrackProfit does. There are multiple squeeze pages within the TEProfits members area that you can promote as well as a 25 part email series that can automatically be loaded into your TrafficWave account. If you are new to list building and want an easy system to help you get started then I highly recommend checking out TEProfits. ClickTrackProfit on the other hand was designed to be super simple. Although there is video training on how to use TrafficWave inside the members area the system itself revolves around creating your own custom splash page that you can promote in traffic exchanges to bring new members into the program. By advertising that link on the recommended traffic exchanges my hits are automatically tracked and when I have received enough traffic I can unlock additional features on the ClickTrackProfit website. It’s actually pretty neat. ClickTrackProfit uses Adkreator to create your splash page. If you wanted to you could turn your splash page into a squeeze page by adding your own autoresponder code to Adkreator. That would allow you to build your list and promote the CTP system at the same time. 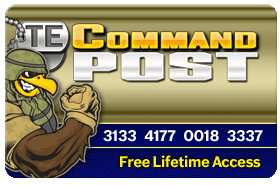 Unfortunately at this time there are no official CTP autoresponder emails to accompany your page so you would be responsible for creating those yourself. I should probably also mention that if you are not into list building you can promote TEProfits with their splash pages and benefit from just using it as a downline builder. In that sense TEProfits and ClickTrackProfit are both very similar. So to answer my reader’s question… if you are already using TEProfits to build your list then you are probably better off just continuing to do what you are doing. Yes, you can use ClickTrackProfit to build your list but it will take a little extra work on your part create all of your emails from scratch. 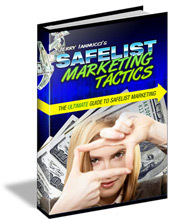 If the list building stuff is still over your head and you are just looking for a simple system to get more traffic and make money then ClickTrackProfit is a great place to start. There are videos that lead your step-by-step through the system and the whole thing is very easy to setup. What do you think? ClickTrackProfit or TEProfits?